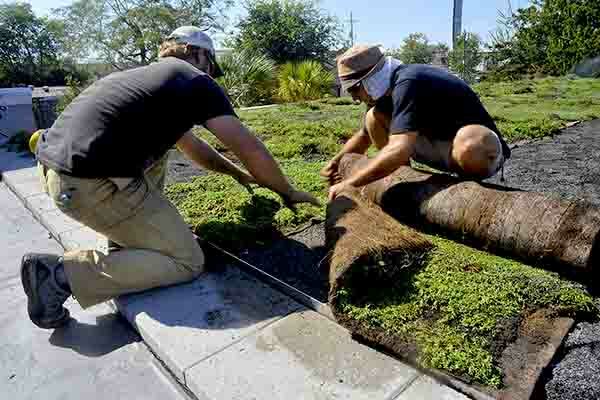 Taco Boy Restaurant | commercial | Living Roofs Inc.
Cooling down a hip restaurant. bread distribution warehouse. 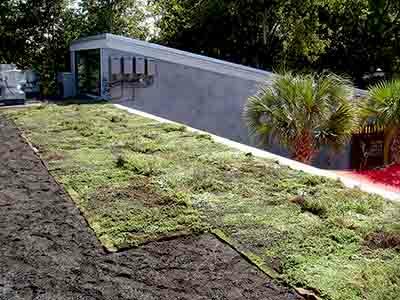 To meet the structural challenges of a green roof retrofit, a lightweight green roof system was installed to keep loads at a minimum. Plant material selected for the southeast region is a mixture of deciduous and evergreen drought tolerant species. 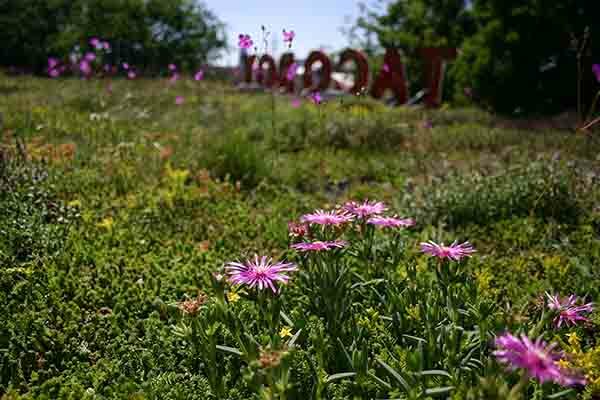 The green roof is visible from the Highway 17 Bridge and will help to mitigate stormwater runoff and reduce energy costs in the summer.